You are here: Home / News / News / HyperDevbox Holiday Xmas Special Pricing! To celebrate the opening of the holiday season HyperDevbox is announcing a special price on all titles available for Android and iOS. Right now (December 21st 2014), until January 1st 2015 , you can capture all your favorite titles for 45% off or more. Including the latest release by HyperDevbox, Record of Agarest War Zero. 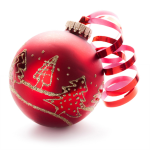 https://hyperdevbox.com/wp-content/uploads/2014/12/xmas.png 150 150 hdxeditor http://hyperdevbox.com/wp-content/uploads/2014/10/HDXLogo_340x156.png hdxeditor2014-12-20 12:59:212014-12-20 12:59:21HyperDevbox Holiday Xmas Special Pricing!